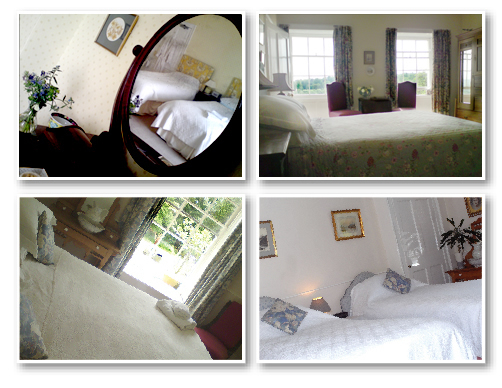 All bedrooms have their own bathroom, TV, tea and coffee making facilities, and Wi-Fi access. Most rooms can take a 'Z bed' if required. Breakfast is served in the elegant drawing room or dining room and consists of cereals, fresh fruit, fruit juice, a wide selection of tea, coffee. Our full English Breakfast is made from locally sourced bacon and sausages. Vegetarian and gluten free options are available. Toast comes with a selection of delicious, homemade jams and marmalade or local honey. Rates (Includes Breakfast) Please note that we are unable to take credit or debit cards.